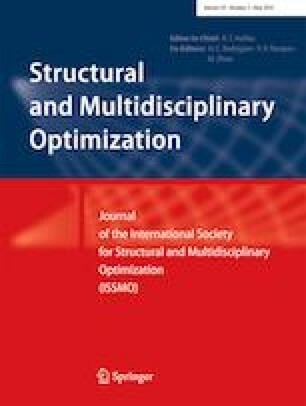 This study presents a nonprobabilistic reliability-based topology optimization (NRBTO) framework that combines a multi-material interpolation model and interval mathematics to achieve an optimal layout design for heat-transfer structures under unknown but bounded (UBB) uncertainties. In terms of the uncertainty quantification (UQ) issue, the interval dimension-wise method (IDWM) based on set collocation theory is first proposed to effectively determine the bounds of nodal temperature responses. For safety reasons, the interval reliability (IR) index corresponding to the thermal constraint is defined, and then a new design policy, i.e., the strategy of nonprobabilistic reliability oriented topological optimization is established. To circumvent problems of large-scale variable updating in a multi-material topology optimization procedure, theoretical deductions of the design sensitivity analysis are further given based on the adjoint-vector criterion and the chain principle. The validity and feasibility of the developed methodology are eventually demonstrated by several application examples. The authors would like to thank the National Nature Science Foundation of China (11602012, 11432002), the Pre-research Field Foundation of Equipment Development Department of China (61402100103), the Aeronautical Science Foundation of China (2017ZA51012), and the Defense Industrial Technology Development Program (JCKY2016204B101, JCKY2017601B001) for the financial supports. Besides, the authors wish to express their many thanks to the reviewers for their useful and constructive comments.